Genny (pronounced Jenny) ate an entire 6″ sub sandwich that she stole from her brother while he was in another room. She does look ashamed, or is that just REALLY full???? The classic pug pout!! Gotta love me!! Love them not me!! Lol darn autocorrect!! That’s what I was thinking – such a big sandwich for such a small tummy. Bless his little heart, he was hungry..
Jenny, ate a sandwich that SHE stole from HER brother. why do people insist on calling any dog they see a boy? learn to read. 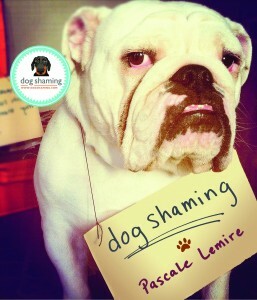 That has got to be the cutest shaming ever. What an adorable little face. A 6″ sub is probably bigger than she is!! 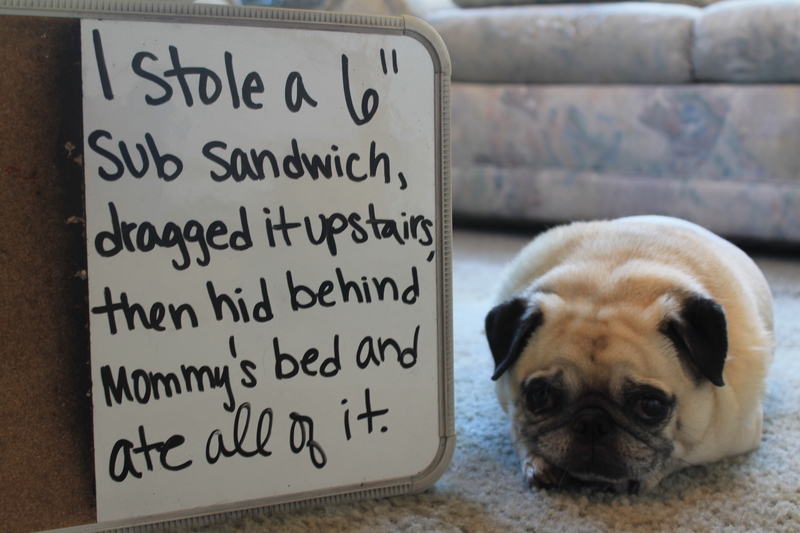 I love Pugs – Even when they steal things they shouldn’t have. Pugs don’t usually experience guilt. The sandwich must have disagreed with her. She’s so cute, she probably stole a lot of hearts.